POWER LUMBAR, HEADREST & FOOTREST EXTENSION WHEN YOU RENT THIS LIFT CHAIR! *** Delivery and Installation for all of our rentals are available. ** Delivery fee applies (Calculated based on driving distance). Delivery fee includes: delivery, set up & pick up of equipment. Sundays, Holidays and After Hours Deliveries are Now Available! After Hours fee starts at $115 plus regular delivery fee. Are You Ready to Make Your Reservation? 1. Technician will deliver, set up, educate and demo the patient on how to use the medical equipment. * All rental equipment remains the property of E Care Medical Supplies, LLC. * A major credit card is required for all rentals, otherwise an equipment rental deposit will be charged. * A cancellation fee will be charged for rental cancellation after is booked. * If the rental equipment is not returned or lost or damaged beyond repairs, you will be charged the full MSRP amount for the equipment rental. * Equipment rentals can not be prorated, refunded or exchanged. 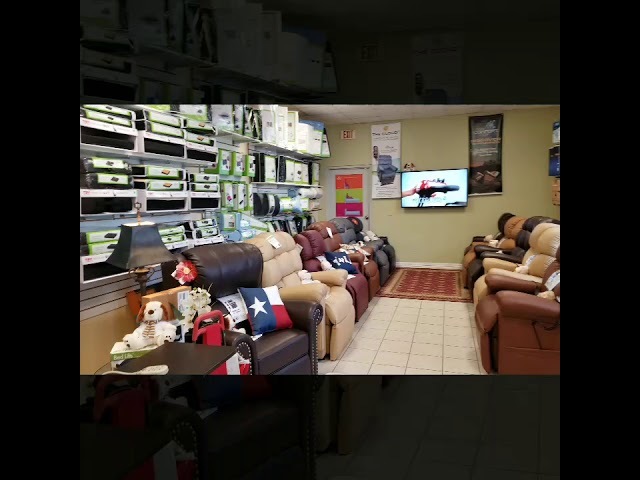 If you're searching for a power lift recliner that is the ultimate in style and performance, look no further than Pride Power Lift Recliners. Our power lift recliners are designed to be a functional and fashionable part of your home decor. Each lift recliner is built for quality and reliability, so you can enjoy it worry-free for many years to come. No matter what style of lift recliner you enjoy, Pride is sure to have a model that will meet your specific needs. With so many styles, colors and materials available, it's no wonder we're America's #1 Lift Recliner Brand! Fashion Forward Styles set these chairs apart from all others! User Height Range: 5'4" - 6'0"
Top of Back to Seat: 27"